Banks often have exhaustive approval processes, high minimums, and flawless credit requirements. But there's a wealth of non-bank alternatives for those who need capital fast. Here are some of the leaders. 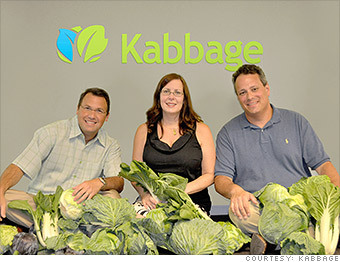 What it is: Kabbage offers working capital loans of up to $100,000 to business owners, who can apply and be approved in under ten minutes. When it launched in 2011, Kabbage initially focused on online merchants that sell products on sites like eBay (EBAY) and Etsy. But now, more than 40% of their business is done with offline companies. Who it's best for: Small businesses with a one-year history, annual revenue of $60,000 and faith in computer algorithms. Kabbage is the only provider with a fully automated approval process. It uses over 100 factors -- everything from revenue history to seasonality -- as part of its "secret sauce" to determine financing amounts said Victoria Treyger, CMO of Kabbage. Potential pitfalls: Again, understanding the APR is essential to putting the loan into context. Once approved, customers are able to determine if they want to take out a lump sum or break up the loans. The interest rate is between 1% to 13% for first two months. After that, the interest rate decreases to 1%, so it makes sense to take out one larger sum, not several smaller loans. Still, it is in a customer's best interest to pay it off as soon as possible. One percent may sound low for months three through six, but customers will end up paying less if they pay off the loan earlier. Non-bank loans: Quick, easy...and addictive?